As a tribute to those yachts and crews to have played a major role in the evolution of the Sydney Hobart Yacht Race, from its humble beginning back in 1945 to its current status as one of this nation’s greatest sporting events, the Cruising Yacht Club of Australia held a Parade of Sail on Sydney Harbour in the lead-up to the main event on Boxing Day. 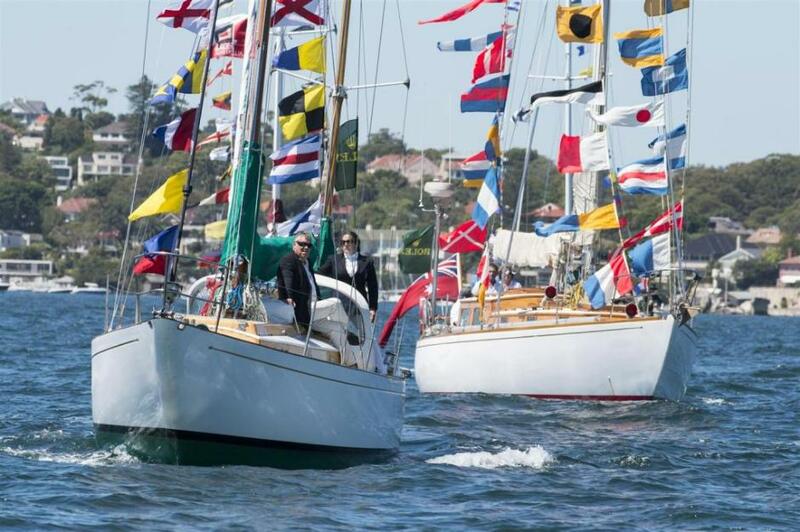 Held in celebration of the CYCA’s 70th edition of the Sydney Hobart, the historic RAN vessel HMAS Advance led the Parade. Two famous yachts from the inaugural race in 1945, Kathleen (kindly been made available by The Australian National Maritime Museum) and Wayfarer, led off a fleet of 35 yachts from a start point off Bradleys Head, on to a mark near the Sow and Pigs off Watsons Bay, and return to Bradley’s Head. Pittwater’s own John Gordon was aboard the Kathleen (Gillett) for the occasion. A number of Pittwater sailors are aboard yachts heading to Hobart, and are arriving just before or after you have read this, including the Spithill men, aboard Comanche for his 3rd Sydney to Hobart for James (Jimmy) and on Pretty Woman in Tom's case - with more RPAYC members/owners/sailors. Rob Brown is aboard Alive, which was 4th/5th/4th when we went to press last night - and also the leading Tasmanian vessel in the race at this point - while leading the whole pack is Pittwater's Mark Richards as skipper on Robert Oatley's Wild Oats XI. Ahhh.... Pittwater sailors... mucking about on the estuary one day, winning the 70th Sydney to Hobart the next. What's more, Team Ragamuffin & Sean Langman and the boys on Maluka of Kermandie are expected on the Pittwater to Coffs Harbour Regatta start line on Jan 2 on the 'other' Ragamuffin and Sean's tri Team Australia! 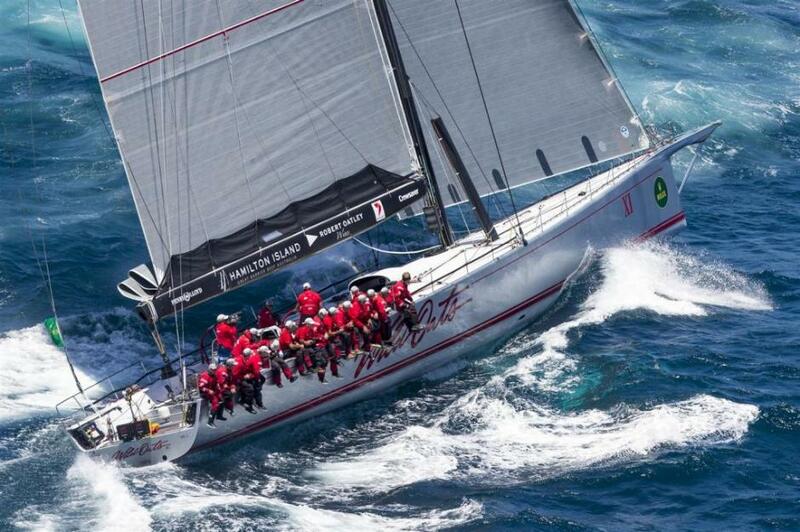 Follow the progress of the 2014 Rolex Sydney Hobart Yacht fleet at: www.rolexsydneyhobart.com/tracker and see if you can count how many yachts don't have a Pittwater sailor aboard. UPDATE: 28.12.2014 8.15am: Alive has moved into 3rd spot - so make that 1st, 2nd, 3rd! Above: Parade of Sails, before the start of the 70th Rolex Sydney Hobart - photo - Rolex / Daniel Forster. Andy Cross - photo by A J Guesdon, 2014. 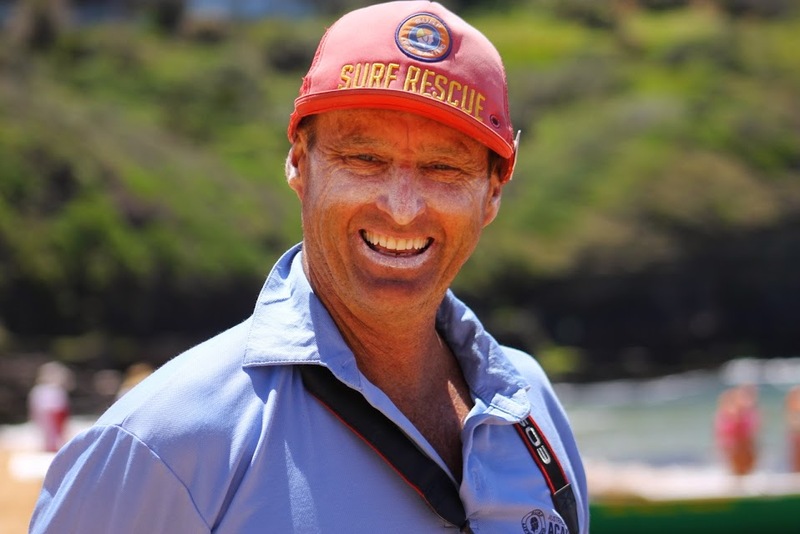 Last year Andy Cross made a New Years resolution to surf every beach in NSW to help promote the great work our surf lifesavers do to keep people safe. He completed his epic mission on Saturday 27 December, by surfing at the 129th beach and his home club South Narrabeen SLSC. Andy is the current Australian SLS Volunteer of the Year and a previous NSW Surf Lifesaver of the Year and his idea to visit and surf at every one of the 129 patrolled Surf Life Saving Clubs in the state has taken him from Pambula in the far south, all the way up to Fingal Beach at the mouth of the Tweed River. His adventures have brought him into contact with sharks, dolphins, turtles and tons of great lifesavers and surfers along the way. "My goal with the 129 Beaches challenge was to promote the advanced life saving skills of the Gold Medallion, along with the Surfing NSW 24/7 Surfers Rescue program. I also wanted to build bridges between surfers and surf lifesavers, who are both such a huge part of our Aussie beach culture," said Andy. Happy New Years - 2015 Here We Go! 2015 (MMXV) will start on Thursday of the Gregorian calendar (dominical letter D), the 2015th year of the Common Era (CE) and Anno Domini (AD) designations, the 15th year of the 3rd millennium, the 15th year of the 21st century, and the 6th year of the 2010s decade. 2015 has been designated the International Year of Light and the International Year of Soils by the sixty-eighth session of the United Nations General Assembly. Pittwater Online News will be back to full Issues on January 4th, 2015 – No. : 196. We're on the beach, estuary and spending time with our loved ones....doing as little as possible.